NSI Gold approved for our services. maintenance of access control systems. "Regain control of the access to and from your building with the installation of our access control systems"
At Mercury Security we have a wealth of experience in tailoring clients the perfect access control system that meets that every need and requirement. Many businesses up and down the country struggle with un-authorised access to their premises on a day to day basis. Here at Mercury Security we can help combat this by installing a state of the art access control system that ensure you are in firm control of the access to and from your business. Biometrically controlled access control system completely eliminate the need for keys and keycards. Has a fault occurred with your access control system? 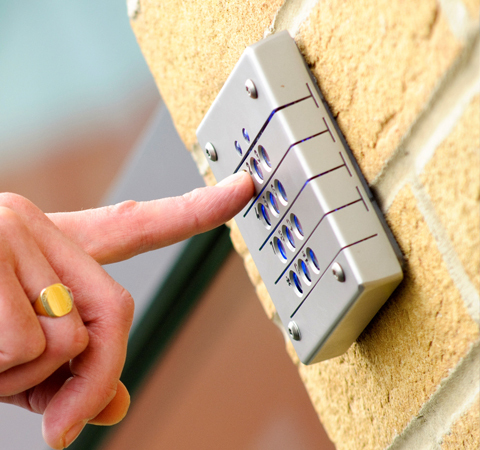 Here at Mercury Security we have a wealth of experience in the maintenance of access control. Our team are on hand at all times to assist you in your enquiry and ensure all needs are met to the highest of standards. "Speak with our Nottingham experts today"
For further information about access control and what we can offer, please get in touch with our team today.